The Advisory, Conciliation and Arbitration Service (Acas) is to be asked to help resolve a pay dispute involving air traffic controllers. Controllers who are members of the Prospect union are seeking an improved pay deal from their employer, Highlands and Islands Airport Limited (Hial). Industrial action by the Prospect members is due to start in April and continue through the summer. Prospect and Hial have agreed to seek the support of Acas. 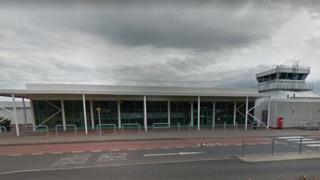 Representatives from the union and airports company have met three times since the result of a ballot on strike action. Seven of Hial's 11 airports would be affected by industrial action. Hial said: "At this point, it has not been possible to reach an agreement with the trade union on their pay dispute. "Therefore, Hial and Prospect have agreed to refer the matter to Acas in a bid to resolve the matter."